The Roxtec sealing system is used all over the world to protect life and secure operations. Owners and contractors within everything from shipbuilding and construction to renewable energy rely on the seals that are tested and certified to protect against multiple risk factors, including fire. Roxtec provides safety seals for projects requiring quality and reliability, and the 540-squaremeter two-floor fire lab will reflect this in all aspects. It will be built at the Roxtec global headquarters close to the material test lab and the product development and production facilities. It will help ensure an efficient work flow, a good working environment and a sustainable testing procedure. 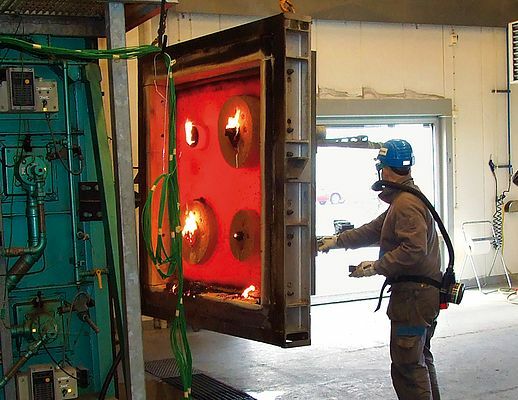 “We perform fire tests in order to develop our transits and ensure quality, but also to be able to invite customers and certifying authorities to witness tests with specific products for specific applications,” says Ulf Hildingsson, manager technical and commercial support at Roxtec.